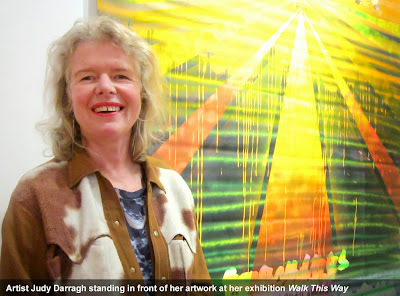 In Walk this way artist Judy Darragh constructs a new floor and wall based installation out of consumer by-products and everyday objects that are attacked with psychedelic colour. Infamous for her resourceful use of cheap found materials, Darragh contorts these into new assemblages. As an artist, she observes how consumer society measures success on material wealth. By reusing low-cost throw-away objects she draws attention to this capitalist logic and subverts it. Just as the appearance of wealth through materialism is somewhat illusionary, so is another point of interest for the artist, Science Fiction. From this semi fictional world Darragh borrows visual metaphors and connotations. Generic science fiction imagery of star scapes, radiating beams and brightly hued gradients invade the wall works. PVC banners that once advertised the latest film releases are no longer commercially relevant and have been repurposed with astral graffiti of neon coloured spray paint and grids of tape. Meanwhile the installation crossing the floor is made out of low-fi and high tech materials. Bent industrially produced aluminium rods with strange growths and attachments of familiar household objects are given a new form of meaning. These highly animated foreign forms have human and bodily qualities, and observed closely we see the artist has used bandages, cotton wool, make-up sponges and inner soles from shoes. The inner sole or soul is a recurrent motif in this new exhibition titled Walk this way, in which the foot prints can represent the steps it takes to crossover into an alternative world or reality. Zealand Te Papa Tongarewa featured a major retrospective of her work curated by Natasha Conland and entitled Judy Darragh: So... you made it?. The artist has held many secondary and tertiary teaching positions including Henderson High School and Elam School of Fine Arts. 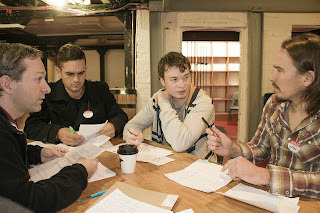 Darragh was also involved in the development of ARTSPACE, Auckland and artist run initiatives, Teststrip and Cuckoo. Judy Darragh is represented by Two Rooms Gallery, Auckland. 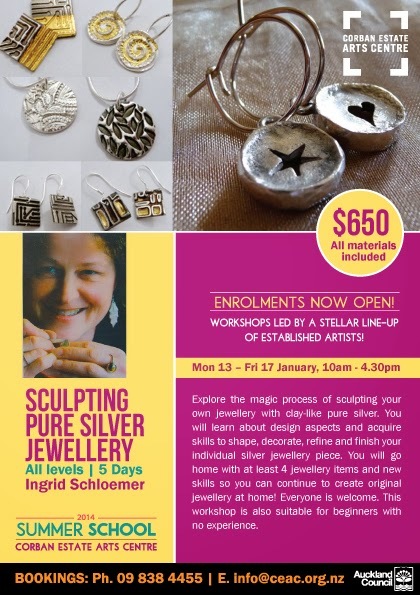 Now you can create your own jewellery accessories in Sculpting Pure Silver Jewellery, a new workshop with silver clay artist Ingrid Schloemer, offered at Corban Estate Arts Centre from 13 – 17 January 2014 as part of the centre’s annual Summer School arts programme. Ingrid Scholemer is an exceptional jewellery artist whose passion for silver has led her to exhibit and sell her work internationally in Germany, the United States, Australia and throughout New Zealand. 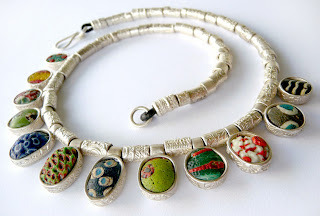 Her interest in silver began in 2006 when she discovered the versatility of precious metal clay and soon engaged in learning contemporary silver sculpture. “The most fascinating aspect of silver is the transformation of a soft, clay-like substance that can be shaped in infinite ways” - Ingrid says. Ingrid finds her inspiration in her immediate surroundings. Nature and its constant changes, the effects of light and darkness are the inspiration for decorative motifs used in her creations. “My eyes are constantly hunting for pleasing shapes, colour combinations and textures to incorporate into the design of another jewellery item.” – Ingrid says. Enthused over sharing her passion for silver, Ingrid will take you through the design aspects of sculpting jewellery for the different kinds of items. 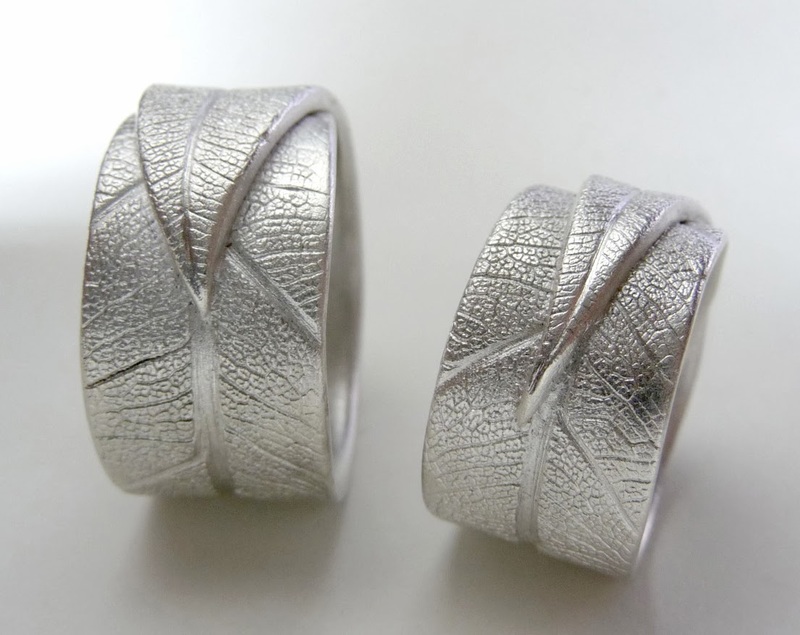 You will acquire skills to shape, refine and finish your individual silver jewellery pieces. You will learn various decoration techniques such as the use of moulds for applying textures and working with a syringe to create filigree and intricate hollow items. 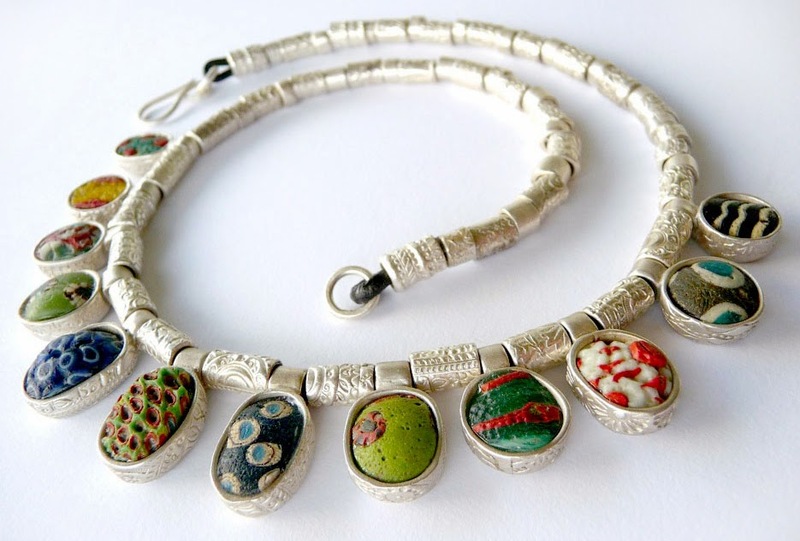 At the end of this five-day workshop, you will have produced at least four jewellery items and gained new skills and inspiring ideas to continue creating original jewellery at home. 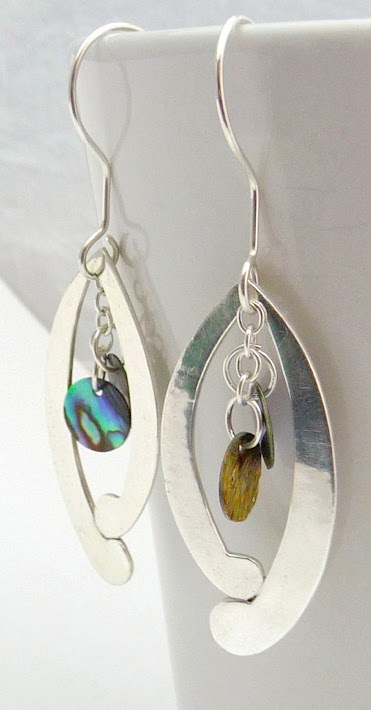 “Beginner or not, everyone will create individual silver jewellery. My promise is that by the end of the week you will look at your world with different eyes”. - Ingrid says about this workshop. Enrolments for Sculpting Pure Silver Jewellery and other Summer School workshops are now open. To ensure a place call (09) 838 4455 or email info@ceac.org.nz . For more information about this class and the full 2014 Summer School programme, please visit www.ceac.org.nz. Project K is developing a hybrid body of work that involves up to 30 young people who will be engaged in an intensive creative process. While Jay Williams is the Director, the creation of this body of work brings together specialist practitioners to mentor young people through a series of comprehensive workshops. Project K’s devising and research processes provide an environment that foster reflective thinking and promote greater skill in social decision making. Project K will result in a 45 minute installation/theatre piece that explores identity and culture in Aotearoa today. Young people will be involved in a series of discussions and workshops where they share their own experiences, listen to the experiences of others and then reflect on their own understandings and responses. This process gives them a platform to explore, interpret and translate experience into the essential meaning it has for them in today’s world. 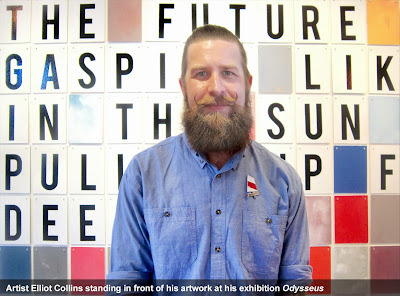 Artist Elliot Collins latest exhibition is based loosely on The Odyssey by Homer. Through the interplay of text, sculpture and photography Collins visually relocates this classic story to take place within the islands of the Hauraki Gulf, representing his on-going interest in the perception of New Zealand as a vibrant place for exploration and discovery. Argonauts (2013) refers to the great ship Argo, that took the warrior Argonauts to Troy. Ironically Collins has reframed the Optimist, a single handed sailing dinghy into the Argo. The Optimist being a common sight around Auckland’s coast line as countless New Zealand children have their first sailing experience in this boat. Now, as individually hand painted brooches the Argonauts (2013) become a talisman or portable artwork that can be travelled with. Situated on Great Barrier Island within the Hauraki Gulf are the two photographic works and map work. In the two photographic works there is a sense of isolation and entrapment that comes from island life, of travelling from place to place. 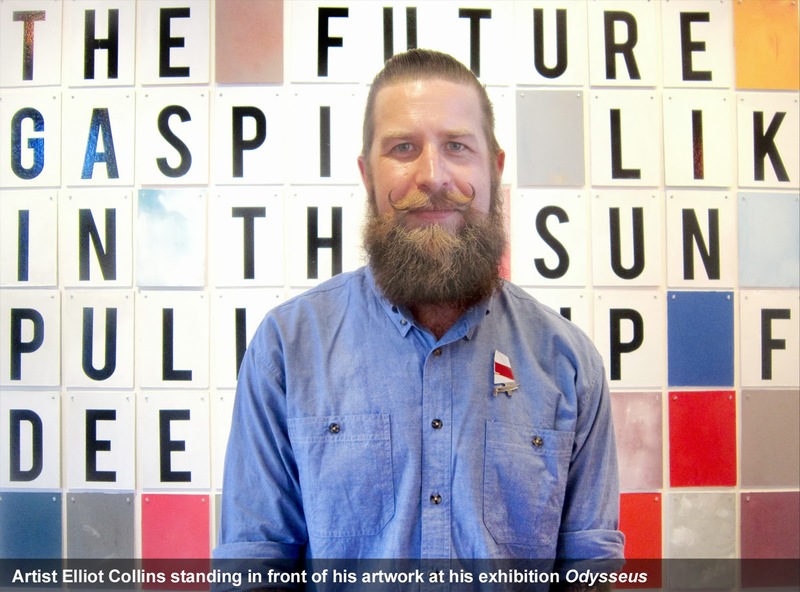 Collins has taken two different perspectives of the island, that of looking outward at dawn and inward at daytime. Follow me to Great Barrier Island (Aotea Island) (2013), is from a series of 60 nautical charts of New Zealand’s coastlines and features the Twitter instruction to ‘Follow Me’. Communication is a founding interest for the artist and he is well known for his lyrical text based paintings. In Hermes (2013) the words are less poetic and more code-like, alluding to the simple coding that underlies both nautical communication and current forms of social media. Hermes is known to be the messenger between Greek gods and humans, and this work will be interactive between the artist and the viewer, as the show progresses he will randomly change the message. Tempest (2013) a work of suspended poles further signifies visual codes of nautical travel. The banded poles symbolise tidal markers which can mark the safe or unsafe passageway through measuring water levels. Collins paints grey stripes as a colour cue for storm clouds since the word tempest is a synonym for a natural storm. By focussing on the epic trials of Odysseus as he makes his way home after the fall of Troy, Collins combines concepts of mythology, adventure, travel, navigation and communication. 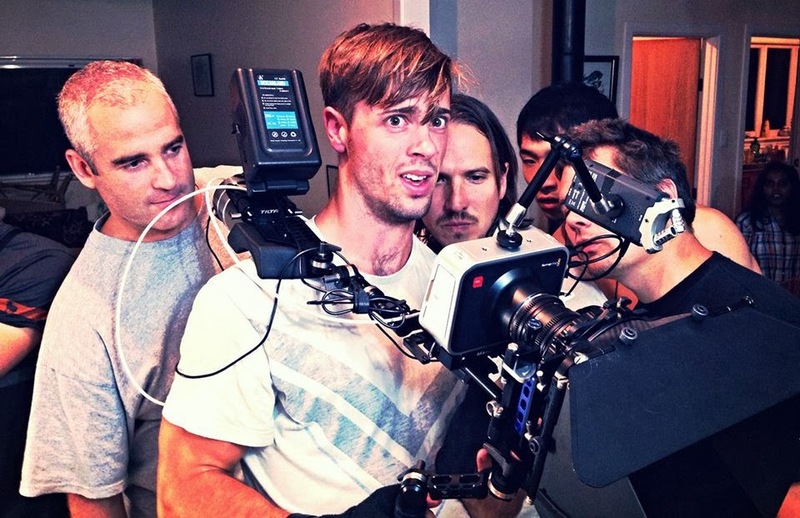 “End to End Film-making is designed to emulate the entire film process” explains film director Bryan Hudkins. Hudkins talks about a new workshop offered as part of the Corban Estate Arts Centre’s Summer School programme, 13 – 17 January 2014. 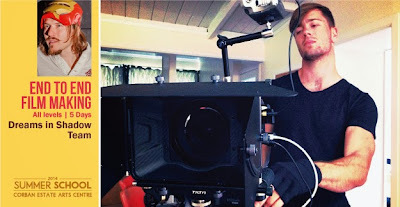 Bryan Hudkins is an American film director and scriptwriter with a remarkable trajectory in the film industry. 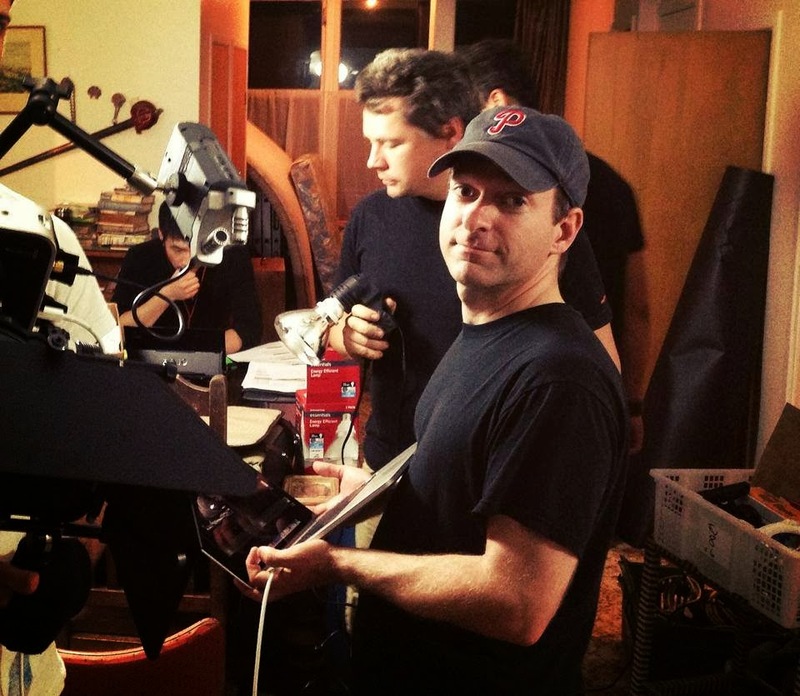 His experience includes an internship at Walden Media, producers of The Chronicles of Narnia series, as well as working in the Hollywood film Aliens in the Attic. Hudkins has directed TV commercials, participated in international and local film festivals and is co-founder of Dreams in Shadow, a joint venture with a group of passionate industry professionals. The Dreams in Shadow team includes film and art directors, stunt coaches, storyboard drafters, executive producers, together with camera and lighting experts. In this Summer School workshop, participants will learn the art and business of film-making as they develop a story, create a budget, pitch it to studios, hash out storyboards, then cast and shoot a film with their team. In the edit room they will work with professional editors to prepare for the screening. “Workshop participants will emerge with an arsenal of tools ready for tackling any film project”, says Hudkins. Enrolments for End to End film-making and other Summer School workshops are now open. Ensure a place. T: 8384455 E: info@ceac.org.nz. More info www.ceac.org.nz. Launch yourself into the heated fray of film with a passionate group of writers, directors, producers and editors. With professional filmmakers teaching and supporting you, learn the art and business of filmmaking as you develop a story, create a budget, pitch it to studios, hash out storyboards, then cast and shoot a film with your team. In the edit room you will work with professional editors to prepare for the screening which completes the end to end process of film making and sets you up as a film maker. 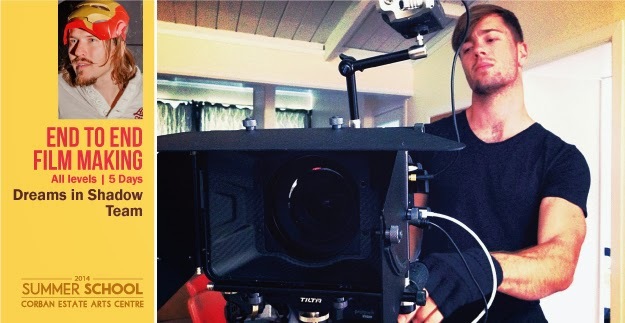 Bryan Hudkins is an American director who has worked on everything from Hollywood movies to local documentaries, music videos and TV commercials. His great interest is in using film to tell a story and to make feature films. Mike Lough is an avid actor passionate about the film and television industry. He has appeared in several NZ TV shows and is well known for his work in several large TV commercial campaigns. He has been an entrepreneur in digital technology innovation and marketing for over fifteen years. Mike’s production company, License to Film, partnered with Lord Of The Rings’ co-writer Stephen Sinclair, on a portfolio of feature film projects. * Classes fill up fast. Early bookings advised to avoid disappointment. Corban Estate Arts Centre brings together leading arts practitioners to offer their talents in a variety of stimulating workshops at its annual Summer School, from the 13th to the 17th of January 2014. This summer, twelve inspiring and experienced artists will share their skills in a selection of diverse arts workshops, led by notable arts practitioners. 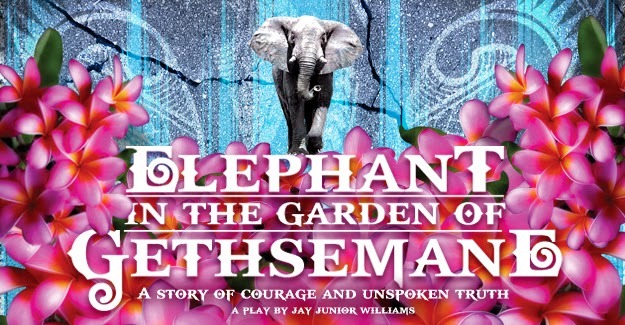 Renowned sculptor Martin Selman, award-winning theatre company Red Leap and the Dream in Shadows Film Company’s crew will come on board for the first time to offer three brand new workshops at the Summer School 2014. Sculptor Martin Selman is well known for his exquisite and refined Carrara marble sculptures. His commitment to the medium has involved extensive work, research and travel in New Zealand, Italy, England and Switzerland. Selman’s workshop will introduce participants to stone carving techniques, the basic principles of design and how to transpose their concepts into soft Oamaru stone. Red Leap is New Zealand’s leading movement and image based Theatre Company, renowned for fantastical theatrical work that enchants audiences. Participants of their workshop will learn expertise in creating puppets and imagery to bring stories to life and discover powerful ways of storytelling, involving performers to complete the picture. In an end to end filmmaking workshop, a passionate group of film industry professionals come together to share their knowledge. This complete workshop will set up participants to tackle any film project, and will provide them with a simulated real-life film production experience that involves writing, acting, directing, producing, editing and screening. Dreams in Shadows is an emerging film company with multiple production projects that include TV commercials, music videos, documentaries and short films. Other workshops offered at the 2014 Summer School include printmaking, oil painting, life drawing and painting, graffiti art, sculpting jewelry, darjit sculptures, singing, up-cycled fabric art and children’s book illustration. In addition to spending time in the course of their choice, participants may choose to attend an evening where each tutor/artist presents an aspect of their arts practice. These widely varied presentations are always a much anticipated element of the Summer School, stimulating ideas for participants. Another optional element of the Summer School is a private visit to the house where Colin McCahon and his family lived, hosted by the McCahon House Trust. Participants will also meet McCahon House Artist in Residence, Tiffany Singh. The Summer School provides participants with a week of arts experiences where they can expand their imagination, master new skills and push the boundaries of their talent. The spacious environment of the Corban Estate, gives participants the opportunity to meet others with similar interests and enthusiasm for creating art and often develop new friendships. Set in the character filled industrial winery buildings of the Corban Estate Arts Centre, with its parklands and handy on site café, the arts centre is a twenty minute drive from central Auckland and there is abundant parking on the Estate. It is also only a ten minute walk to the Henderson railway station and town centre.